Serve your clients with smile & deliver quality services on time. Quickly Job Cards creation with advances, Job Card assignment to different technicians, Mapping of multiple spare parts consumption against individual job cards, Complete Job Card status Track, SMS Alerts for assigned technicians and Customers, 1 click Seamless conversion and integration with POS, Job Card analysis reports to work on gaps and serve better. Quality service within time is the major challenge of entire service industry. MaxxERP Service management software system helps you to quickly create Job Cards with detailed information (approx value, custom fields, fault description, serial number, other submissions, expected delivery dates and advances), Assign Job Cards to different technicians, Map multiple spare parts consumption voucher against individual job cards, Track individual Job Card status with status date-time and remarks and technician responsible for different activities to avoid the blame game and delivery lag, Send SMS Alerts for assigned technicians and for Customers to track delivery status, Convert Job Card to invoice in one click, Job Card analysis reports. MaxxERP is a beautiful online service management software. Its very simple & easy to use Job card software over the cloud. Being a Web based job card management software makes it accessible anywhere over internet. MaxxERP is the best Job card software system that can be used on Desktop, Web and Mobile. Manage your business Service job related operations with Complete Clarity. MaxxERP is a secured online bookkeeping job management application on cloud for small businesses too. Option to define different custom fields for Job Card on entire transaction level as well as each line item level. Option to adjust advances against the job card. Option to define expected delivery date and time and show overdue alerts / reports. Job card to technician assignment. Complete Job card status tracking with different date time and technician/user remarks..
Option to Map multiple consumption against individual job card. SMS/Email alerts to Technicians and Customer on different status. 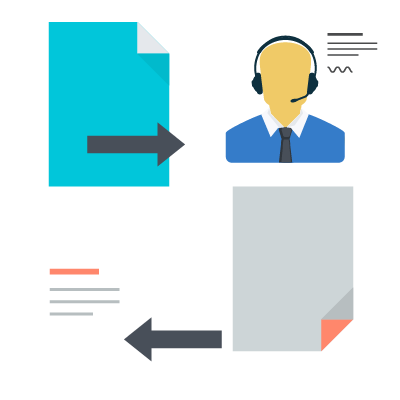 One click conversion to Invoice with details of all consumption against the job card.